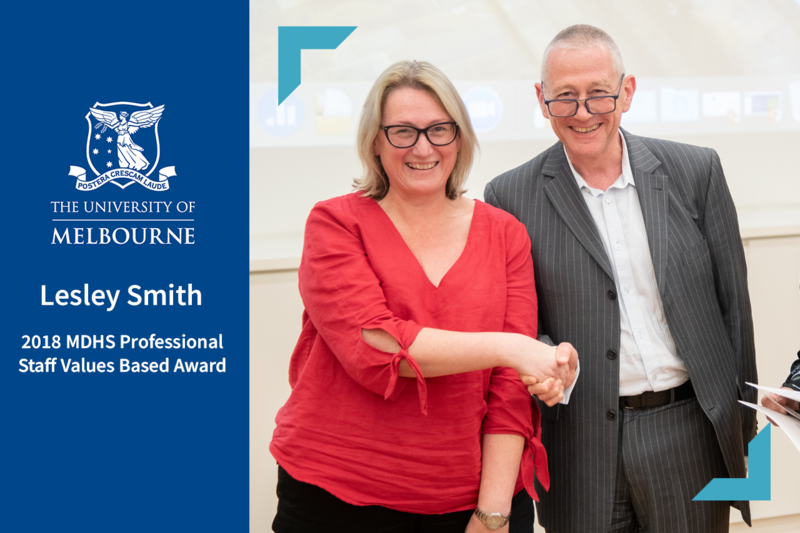 Lesley Smith (Body Donor Administrative Assistant, School of Biomedical Sciences) has been awarded a 2018 MDHS Professional Staff Values Based Award. This year 25 nominations were received for the MDHS Professional Staff Values Based Award. The 5 recipients of the 2018 Values Based Award clearly demonstrated at least one of the Faculty's core values in their work over the past 12 months. Our congratulations to Lesley and her fellow recipients for this fantastic achievement! The Faculty's inaugural Professional Staff Awards are organised by the Faculty Administrators' Network (FAN) Steering Committee.